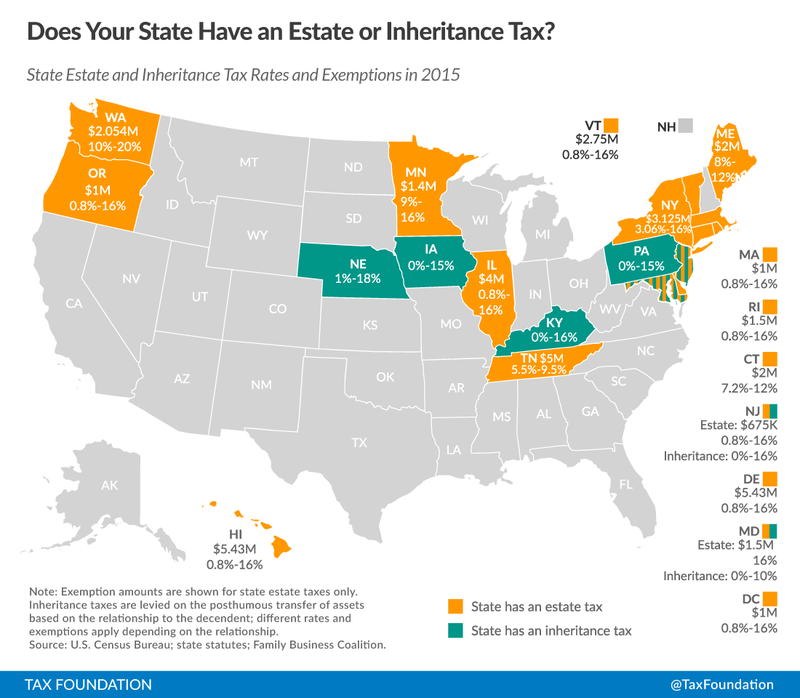 Minnesota is one of only a few states that have an estate or death tax. MN residents who die this year will be assessed an estate tax by the state of Minnesota if the value of their estate exceeds $1.4 million (increasing to $2.0 million by 2018). Depending on the size of their estate, the tax bill would be between 10% and 16% of the amount that exceeds $1.4 million. If you die with a $2 million estate, you will owe $60,000 or more in estate taxes to the state of Minnesota. Below are 5 ways Minnesota residents can avoid the estate tax. Don’t die. I say that only somewhat tongue-in-cheek. Obviously we are all going to die someday, but the exemption amount increases from $1.4 million in 2015 to $2 million in 2018. If you are a healthy person with an estate valued between $1.4 million and $2 million, you will likely avoid the estate tax just by living a little longer. In fact, according to the MN Department of Revenue, fewer than 2% of all Minnesotans will die this year with a taxable estate. That number drops by 37% in 2018. Don’t die in MN. More accurately, don’t die as a Minnesota resident. Although there are some exceptions, it’s usually only MN residents who are subject to the MN estate tax laws. If you are a resident of Florida or any number of other states with no death tax at the time of your demise, you will avoid the MN estate tax. Click this link for a handy map of the 30 or so states with no death taxes. Be generous to others. Assuming you don’t need a large net worth to fund your retirement income needs, one way to avoid the estate tax is to simply make sure that your estate stays under the exemption amounts (up to $2 million by 2018). If you can get by on $2 million, maybe you should consider making charitable gifts and/or gifts to others during your lifetime. An individual can gift up to $14,000 per year to an unlimited number of other individuals without affecting their exemption amount. A married couple can gift up to twice that amount. If you are married and have two adult children who are married with two children of their own, you and your spouse could gift up to $224,000 ($28,000 x 8) every year. If you are still feeling generous, there is no limit to what you can give to qualified charities (501c3 organizations), your kids’ or grandkids’ colleges to pay for education, or to a hospital to pay for medical expenses. Be generous to yourself. Who says you have to give it all away? Maybe this is the year to take an Alaskan cruise or travel around the world. I spoke to a client recently who said, “It’s not like we are going to buy a sailboat and go around the world.” Why not? If you can afford it, why not trade in some cash for an experience of a lifetime? At the end of life most people regret things they didn’t do, not the things they did. Credit Shelter Trust. $1.4 million is the exemption amount for the MN estate tax. This number increases to $2 million by 2018. However, a married couple can establish a credit shelter trust as part of their estate plan that will shelter up to $2 million from estate taxes for each of them. In other words, if you are married and have properly drafted will and trust documents, you should be able to protect up to $4 million from the MN estate tax (by 2018). If you are not sure if your estate plan includes a credit shelter trust or a similar vehicle to minimize your estate tax liability, talk to your attorney and have them review your plan. That’s five ways you can avoid estate taxes as a Minnesota resident. For families with a higher net worth or more complicated estates there are even more things you can do to reduce the tax burden. With a little planning, however, 99.5% of the population of MN can eliminate their estate tax completely.